This is the third article of our series “Biryani Stories”, which looks at the common culinary culture in South Asian countries. In this installment, we explore the Biryani culture in Dhaka. In Bangladesh’s capital, Dhaka, the anarchic traffic congestion along the city’s major roads gives you the opportunity to observe the street food shops. The aroma of their spicy Biryani, which is very popular and easy to find, will allure you! The inclusion of Biryani as a Bengali dish dates back to only a few centuries. Bangladesh, a low-lying country in the fertile Ganges-Brahmaputra Delta region, has cultivated rice for the last 5,000 years. The rice produced from the land, combined with the fish from the numerous rivers that crisscross the country, earned its residents a nickname that stuck: the “fish and rice-rich Bengalis”. Over time and as the region passed through the hands of various invaders — including a period of Mughal rule in the greater Indian subcontinent — many foods were added to Bengal’s culinary culture. Mughal food, known as Mughlai cuisine, is part of this rich heritage, and its standout dish is the Biryani of Dhaka. 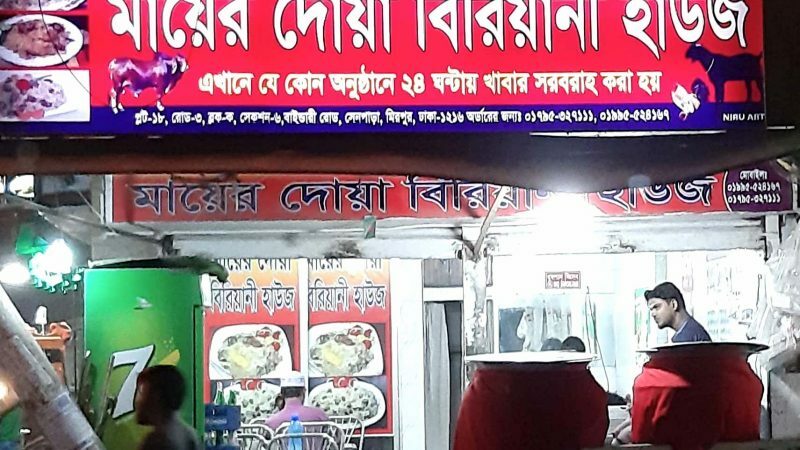 How did Biriyani come to Dhaka? In 1610, after the Mughal rulers declared Dhaka as the provincial capital, Mughal subedars (equivalent to British captains) and other high officials arrived in Dhaka to manage the administration. Most came from Lucknow in present-day India, bringing personal cooks with them. While many subedars were subsequently transferred from Dhaka, some of the cooks remained, keeping the Biriyani culture alive in Dhaka by opening shops and allowing the Mughal diet to flourish. It gradually fused with Dhaka’s local cuisine, creating a unique taste, winning the hearts of ordinary people and slowly becoming a regular part of their diet. Biryani is a trademark dish in Bangladesh capital Dhaka city. Biryani shops are found all over the city. Photo: Author. If you are asked to name a few signature foods of Dhaka City, Kachchi (raw) Biryani would be at the top of the list. In any social event, even if it’s just a small gathering, once the food is being served Biryani will be on the menu. In Dhaka, the preferred Biryani brand is Hajir Biryani, which was created in 1939. Its unique characteristic is that it is cooked using mustard oil (instead of the traditional ghee or butter oil), and mutton is used as meat. 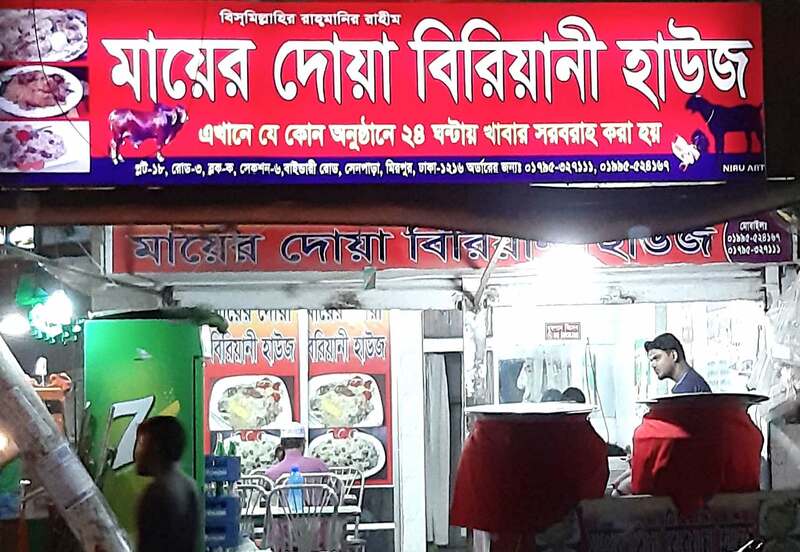 Jhunur Biryani is another famous Biryani brand in Dhaka, but it is cooked with chicken meat. Shah Saheb’s Biriyani, Nanna Biryani and Fakhruddin’s Kachchi are equally popular foodie brands. When Canadian YouTuber and food video blogger Trevor James visited Bangladesh recently, he tasted the Dhaka brands Haji Biriyani and Nanna Biryani and praised them immensely. Traditional Biryani meat recipes use mutton, beef or chicken, but in the “fish and rice-rich Bengali” country, Biryani is also cooked with prawns or even catfish. There is also vegetarian Biryani, and the custom of Hajir Biryani is to sell it in containers made of jackfruit leaves. Biryani is basically cooked in one of two ways. In Pakki Biriyani, meat, and rice are cooked separately, then placed in layers for roasting. To make Kachi Biryani, mutton is marinated with yogurt and spices overnight, then placed at the bottom of a big cooking pot. 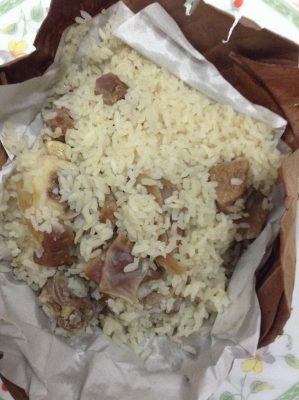 Potatoes and rice go on top of the meat and the lid of the pot is sealed with dough to make it airtight. The meat, potatoes, and rice all are cooked together over a slow fire Dum-pukht style, which helps the dish retain its natural aromas. The tradition is to cook biryani using the wood of Tamarind tree — the slow fire is said to have layers too. They don’t use modern equipment like a thermometer for measuring the cooking temperature — the good chefs cook Biryani watching the colors of fire. For cooking biriyani, you have to soak the rice in milk for the whole night. A little bit of saffron is added in that milk. And the bottom of the pot where Biryani would be cooked will have a layer of bay leaves. Quite apart from the traditional rituals of Bangladeshi weddings, the main attraction at such celebrations remains the sumptuous food. Without Biryani, wedding arrangements are deemed incomplete; in fact, brides and grooms have been known to quarrel over the absence of Biryani on the wedding menu. Kachchi Biryani is the type that is typically served at wedding feasts. Watching the sea, eating biryani and drinking delicious tea — thus I can spend the rest of my life alone! 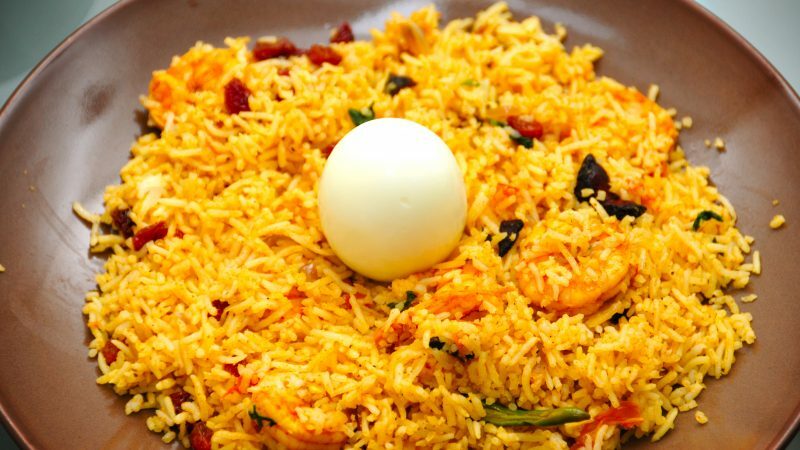 If reading this has already whet your appetite, come to Dhaka and enjoy the taste of Biryani at any one of these establishments, reputed for offering the most delicious Biriyani dishes in the city.